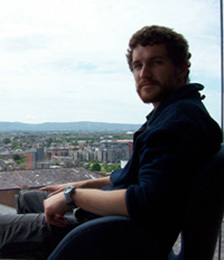 Joseph Baker is Assistant Professor in the Department of Sociology at East Tennessee State University. 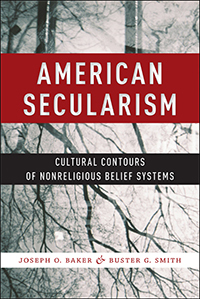 His latest book, American Secularism: Cultural Contours of Nonreligious Belief Systems, co-authored with Buster G. Smith, explores the rise of secularity in the United States. Why are more and more people identifying as “non-religious” and what are the forces shaping this change? Religion and secularism from a sociological point of view. Thursday, November 19th at 8 pm on WETS, 89.5. Sunday, November 22nd at 8:30 am on WPVM, 103.7. Sunday, November 22nd at noon on WEHC, 90.7. Sunday, November 22nd at 2 pm on WETS, 89.5. Monday, November 23rd at 1 pm on WEHC, 90.7. Wednesday, November 24th at 6:30 pm on WEHC, 90.7. Via podcast 11 am Pacific, Sunday November 22nd.